Random Thoughts of Gil Camporazo: How To Be Forgiving? It seems to be very difficult for us to be forgiving, especially when we're angry, when we're hurt and embarrassed. Isn't it? 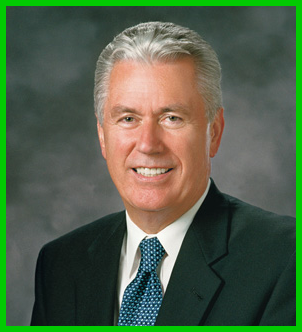 I found the solution to this and was spiritually clarified on the immediacy and the extent of forgiving from the message, "The Merciful Obtain Mercy" shared by Dieter F. Uchtdorf, second counselor in the First Presidency in the last day of the delayed broadcast of the 182nd General Conference of The Church of Jesus Christ of Latter-day Saints for this month of April 2012. "When it comes to our own prejudices and grievances, we too often justify our anger as righteous and our judgment as reliable and only appropriate. Though we cannot look into another’s heart, we assume that we know a bad motive or even a bad person when we see one. We make exceptions when it comes to our own bitterness because we feel that, in our case, we have all the information we need to hold someone else in contempt," Uchtdorf said. "Jesus said it is easy to love those who love us; even the wicked can do that," he stressed. What about loving your enemies as a higher law taught by Jesus Christ? He cited Matthew 5:44: “Love your enemies, bless them that curse you, do good to them that hate you, and pray for them which despitefully use you, and persecute you." "The pure love of Christ can remove the scales of resentment and wrath from our eyes, allowing us to see others the way our Heavenly Father sees us: as flawed and imperfect mortals who have potential and worth far beyond our capacity to imagine. Because God loves us so much, we too must love and forgive each other." Since we're not perfect, he said, we should do it in the Lord's way for "the merciful will obtain mercy." I do admit that there are times that I'm prejudicial especially as Uchtdorf mentioned regarding "hating, gossiping, ignoring, ridiculing, holding grudges, or wanting to cause harm." How do we go about it? He simply recommended a two-word sermon: "Stop It!" Let's not be judgmental. He cited a sticker at the back of a car that read: "Don't judge me because I sin differently than you." Are you inclined to forgive others now? As Ucthdorf puts it, "Should we not forgive as we wish to be forgiven?" To be forgiving is to have the pure love of Christ. Thus we could have the attitude of being forgiving, then we forgive others and in return, we're also forgiven. Amen to that. I've learned something again. Forgiveness was the main point of our Bishop at the Seven Last Words last Friday and this article just summed it all up and have added some more. Thanks for the wonderful advises and Bible rooted article. Please also come and share your ideas in this movie review.